Hi Doodlebug Fans! 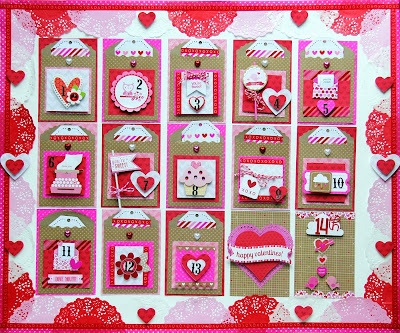 Jodi here today to share with you a fun but simple project that I created! 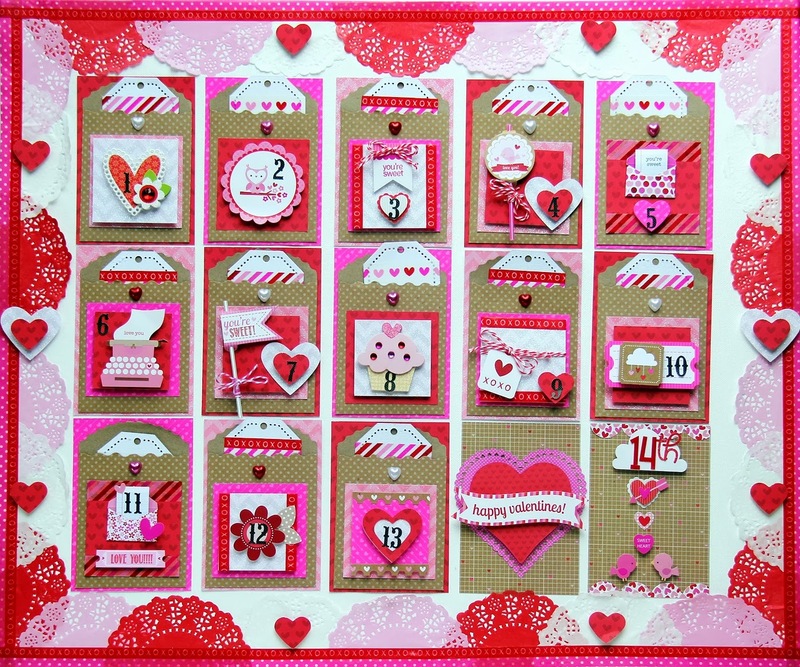 Doodlebug's new fun collection-Sweethearts! I fell in love with the Kraft Bags! 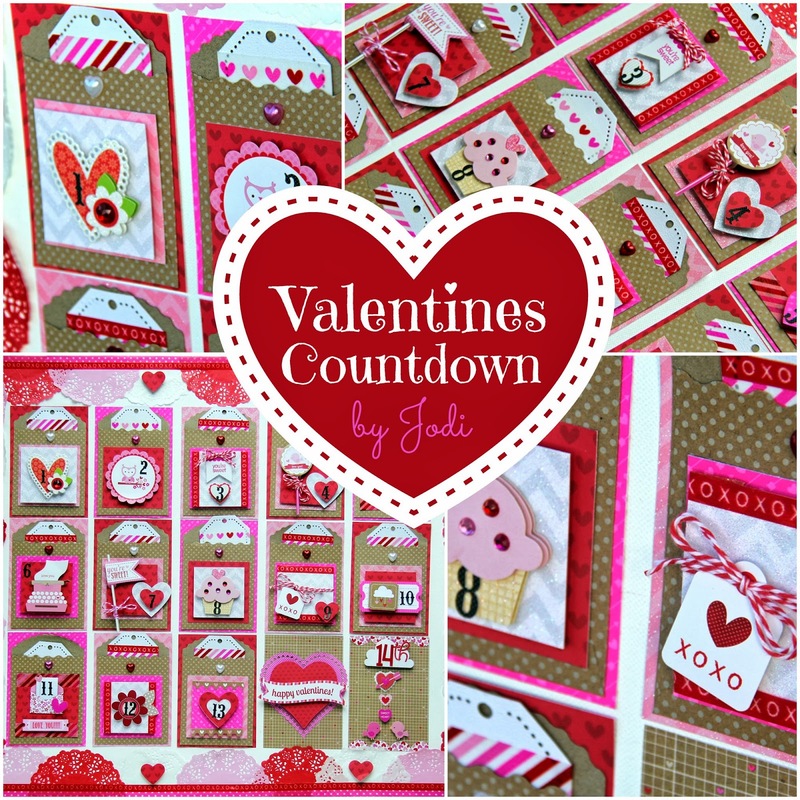 Yep, as much as I loved them, I knew I wanted to embrace these sweet bags on my Valentine's Countdown. I started with a Blank Canvas that I have been meaning to use for some time. It was the perfect size to fit 5 bags across. To start off, I cut the doilies in half and mod podged them around the border of the canvas. 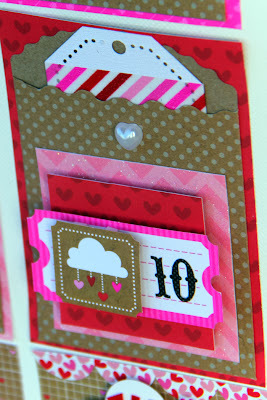 Next I used the washi tape in two designs on the outer edges of the canvas (and to cover up any imperfections)! I LOVE that Doodlebug has come out with a new smaller size! 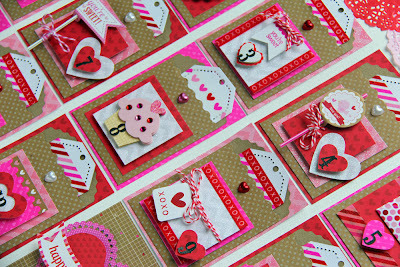 I am in love with the XOXOX tape! 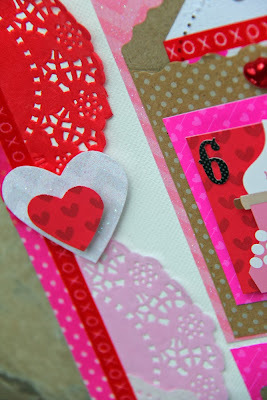 I then layered some punched out hearts on top of the white doilies to add some more color. 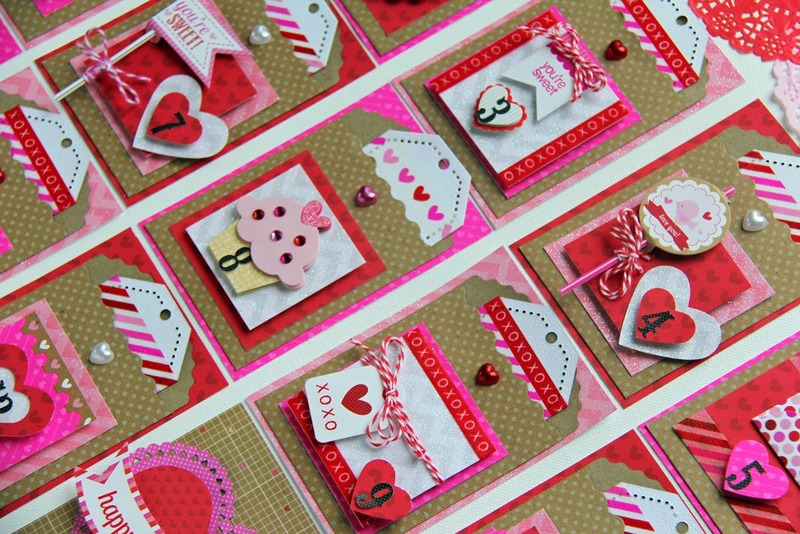 I then cut several rectangles to just give the Kraft Bags a bit of a border. I made sure to use my hot glue gun to adhere them to the canvas. Finally the fun part! Decorating each little bag! I layered each bag with Doodlebug goodies- from Doodle-pops to stickers to Pixie Sticks! 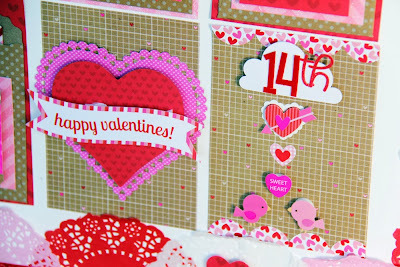 The combinations were endless with such fun embellishments in this collection! Lastly, I decided to create some tags, which I cut out with Lily White Cardstock. I then added some washi tape at the top for some punch of color.On the tags will be little Love Notes for my kids and I might just slide some heart lollipops in there too! 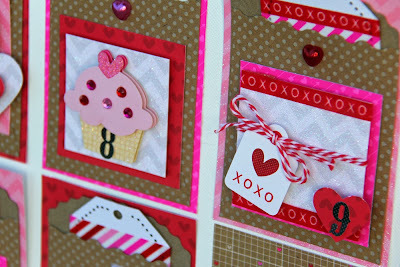 Thanks for letting me share some "sweetness" with you today! This is fabulous Jodi!! 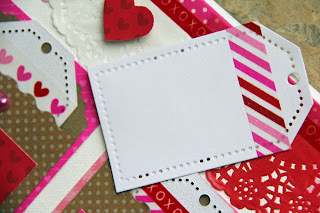 Your doily border is amazing and I love how you embellished the bags!!! Such a sweet project filled with cute details and embellishments! 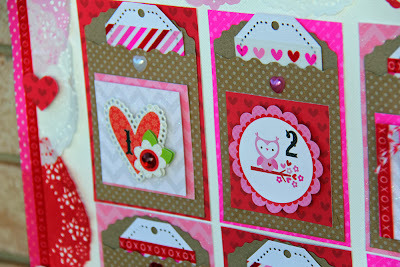 Such a darling countdown Calender! Love it! !